Graduates from far and wide are expected to flock to the University of Glasgow this February for the 2017 Careers Fair where up to fifty top employers will be on the lookout for new recruits. 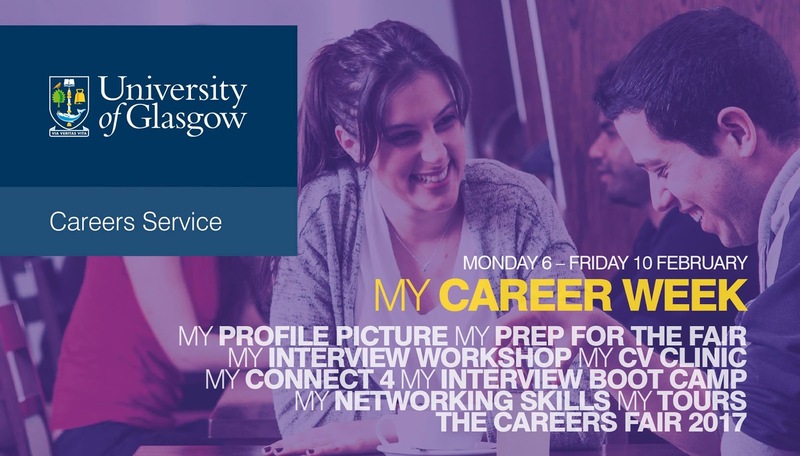 The Careers Fair kicks-off at Glasgow University Union at 11am until 4pm and is a job-seeking opportunity not to be missed. Taking place during MY Career Week. 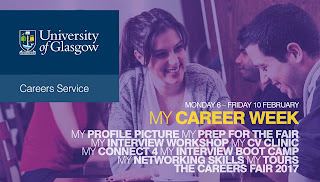 The Careers Fair is a free national event organised by University of Glasgow's Careers Service in conjunction with The Association of Graduate Careers Advisory Service (AGCAS) and open to students and graduates from all universities. At the Careers Fair graduate and student job hunters from any university are free to meet with potential employers operating across key industries. Employers from a wide range of organisations will be at the Glasgow Union and looking to recruit talented new graduates into both the private and public sectors. Top Universities will be attending as will be the Royal Navy & Air Forces, communications conglomerate IBM, online retailer and growing median company Amazon, Britain's best value supermarket Aldi and financial giant Morgan Stanley. The big recruitment agencies will also be attending, so they'll be something there for everyone.